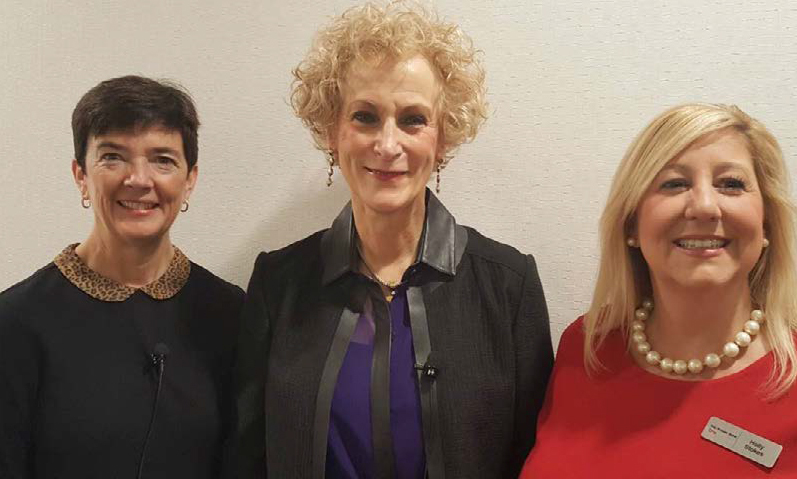 Co-chaired by KeyBank’s Holly Stokes and Michelle Haslinger, our Central Ohio Key4Women community recently hosted a networking event that featured a fireside chat between KeyBank Central Ohio Market President Melissa Ingwersen and Janet Smith Meeks. The conversation centered on Janet’s recently published book Gracious Leadership: Lead Like You’ve Never Led Before and her movement to create a world full of respectful leaders who guide their teams to excellence. More than 100 local business leaders heard this inspiring woman describe how to be tough but kind, straightforward but compassionate, and driven and grateful as a fully respectful leader. The following is a summary of Janet’s message that day. There’s no mistaking it: We live in a time when civility and decency have been devalued, creating a true crisis in leadership. For many executives, kind and respectful treatment of employees doesn’t factor into their management model. After all, they reason, it’s best to remain distant and detached from the people around you. Janet Meeks knows there’s a better way. It’s called gracious leadership. Janet’s dream is that we fill our world with leaders who inspire their teams to excel, to shine brightly as positive leaders, and to be the role models of today that the generations of tomorrow will want to pattern their lives after. In the book, Janet describes the 13 key ingredients of gracious leadership that are proven must-have strategies to optimize organizational results. “All of the key ingredients are required,” said Janet. “It’s like baking a cake—you can’t leave one ingredient out and expect that it will turn out well. There are no shortcuts when leaders seek to develop and to sustain highly engaged, enthusiastic teams that produce consistently excellent results for their organizations.” Gracious Leadership is more than just a book—it’s a movement to inspire a high-performance leadership culture based on inclusiveness, respect and openness. 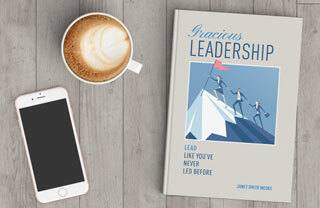 To learn more about the gracious leadership movement and to obtain a copy of Janet’s book, visit graciousleadershipbook.com. For more Key4Women resources to help you reach your goals, visit key.com/women. Was this recap helpful? Would you like to weigh in on future topics? Take our survey.